There has been a lot of hand-wringing over the negative effect mobile devices and technology can have on our health, and while endlessly scrolling Facebook and looking up high school frenemies on Instagram may not be good for you, there are plenty of apps that can help calm you down, help you breathe and improve your health. 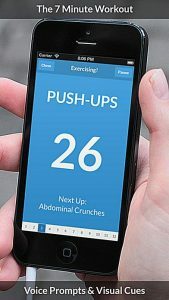 So here are six apps that target different aspects of your health with proven results. There’s a reason this easy to use app is beloved among the time-poor and health-conscious. It has easy to follow workouts – with no equipment needed – that don’t require hours of commitment. These effective workouts aren’t just good for your body, short (daily) bouts of exercise can help you focus and improve your memory. Breathing. It’s an essential and (for the most part) unconscious action. But stopping to focus on breathing can do wonders almost instantly for stress, anger and anxiety. 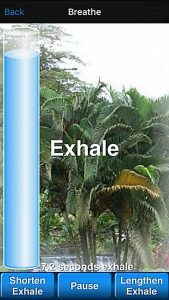 Developed in conjunction with the U.S. Department of Defense for military personnel (who know quite a bit about staying calm under pressure), this app guides you through diaphragmatic breathing, an ancient practice also known as belly breathing. What triggers stress is different for everyone. Whether it’s getting the kids up and ready, that weekly meeting with a manager who makes you nervous or an email from a difficult client, Pacifica helps you identify what exactly is stressing you out and how to manage your emotional response to it. 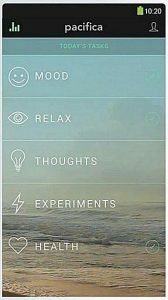 Designed by a licensed clinical psychologist, the app gives you the tools to break negative thinking cycles that accompany the stress in your life. This is the app for people who can’t seem to just let things go. Do you worry about the kids when they’re at school or the work project weeks after it’s finished? 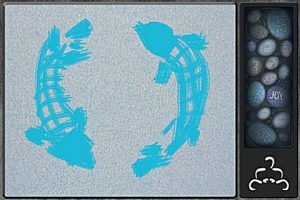 Buddha Board brings a little bit of zen into your life with no sand garden, rake or robe required. It’s a simple concept – draw a picture in brush strokes and then watch as it slowly disappears – it can have a significant affect on people who find loss of control stressful. A crucial part of mental well-being is getting solid, uninterrupted sleep at night. The Australian Center for Education in Sleep recommends 7-9 hours for adults – and many of us are lucky to get half of that. Many people find the second their head hits the pillow their mind starts making mental to-do lists and chewing on work problems. 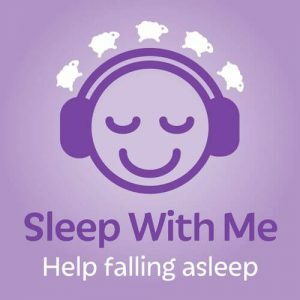 If this sounds like you, the Sleep With Me podcast might be just what you never knew you needed. Narrators lull you to sleep with stories perfectly engineered to be just interesting enough to hold your attention but dull enough to send you to dreamland. For many people, stressful schedules and busy days translate to an aching body. But after a huge day of meetings, ferrying the kids or a combination of both it can be tough to get off the couch and make it to a massage therapist. 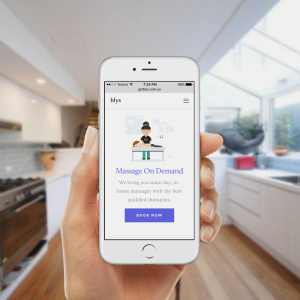 The Blys app allows you to organise a certified massage therapist to come to you. They bring everything and fit around your schedule, making this the perfect way to unwind on your own terms. Previous PostMale or Female Massage Therapists: What's The Difference?